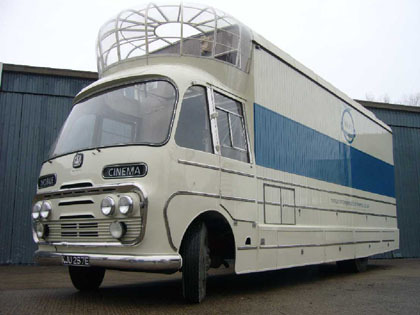 After our Mobile Cinema event last month we were alerted to a lovely project in the south-west. 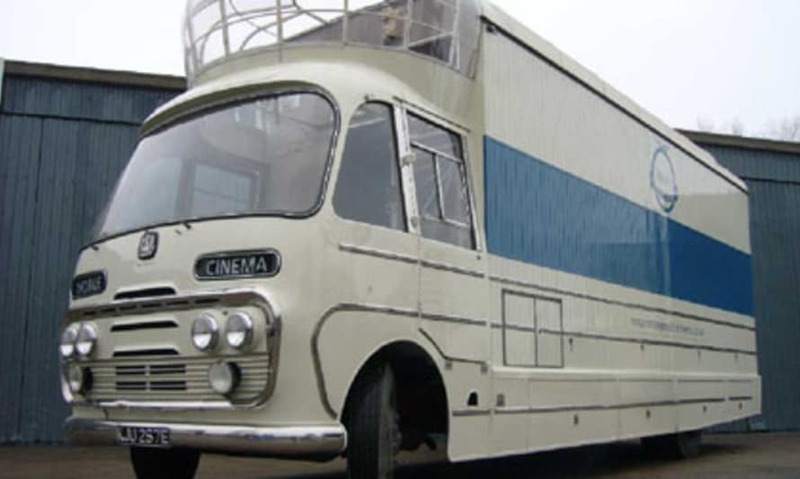 A few years ago a rusty Bedford cinema van was retrieved from a field in Devon and has been carefully restored to tour the region showing archive films. 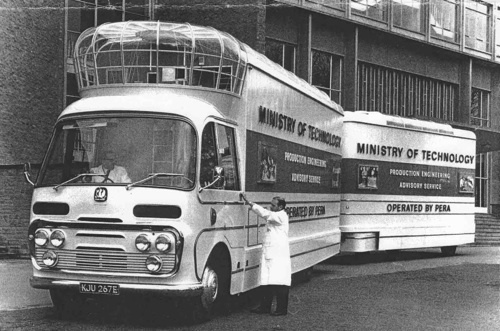 A fleet of seven of these were commissioned by Tony Benn when he was at the Ministry of Technology in the 60s. 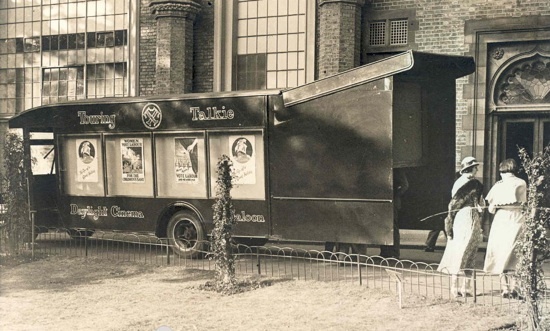 That perspex cockpit would originally have housed the 16mm projector, beaming the image onto a screen on the van's back door for up to 28 punters at a time. Now it seats 22, and uses HD digital projection and 7.1 Dolby sound. We want one! A few more up-to-date examples: - Video activists Undercurrents have got into the mobile cinema game with a refitted caravan: - A group in Market Harborough decided against a fixed building and are trying to raise the money to renovate a portable unit; - Flicks in the Sticks recently celebrated ten years of bringing movies to village halls across Shropshire and Herefordshire. - and Volvo are bank-rolling a touring drive-in.